Cycling through Connemara on the Wild Atlantic Way from Galway to Westport, takes cyclists through Connemara, a region of awe-inspiring and unspoilt natural beauty. 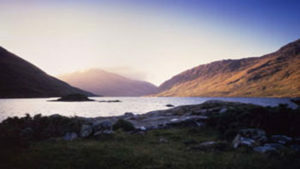 Irish playwright Oscar Wilde described it best when he called Connemara “a savage beauty”. 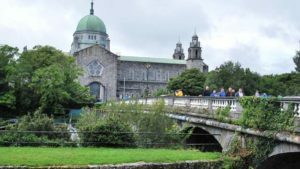 This Wild Atlantic Way cycling Connemara tour will introduce you to both metropolitan and rural Ireland, visiting lively Galway city and Westport, as well as taking you along coastal roads across rural peninsulas. Connemara’s patchwork of lakes, windswept bogs and rugged mountains, gives travellers a sense of splendid isolation. The raw beauty, sweeping vistas and constantly changing moods of the Connemara landscape have captured the hearts and minds of generations of artists, writers and musicians. From Galway, you will be following the Atlantic coastline on the Wild Atlantic Way, where you are likely to see the traditional sailing boats of Connemara: the Gleoiteog and Pucan, more commonly known as ‘Galway Hookers’. In times gone by the larger boats were used to transport turf from the peat bogs of Connemara to the Aran Islands and County Clare. An impressive stop on the way is Kylemore Abbey; located in one of Ireland’s most unique landscapes/ The abbey had very humble beginnings as a hunting and fishing lodge; in 1871 it was bought by Mitchell Henry and development of Kylemore Castle and walled gardens began. In 1920 it was purchased by Benedictine Nuns and converted to the abbey you see today, after they fled Ypres in Belgium during World War I. As you approach Westport you will enjoy views of Croagh Patrick, Ireland’s ‘Holy Mountain’ and a traditional place of pilgrimage. With short cycling days on the Cycling Connemara tour, you will have time to explore some of the historic and cultural highlights of the tour, such as Clifden Castle, Killary Fjord and Westport town to mention just a few. 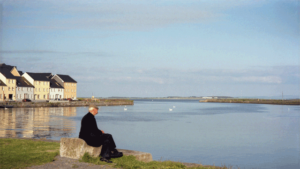 On your first day cycling the Wild Atlantic Way, you will leave the hustle and bustle of Galway City, and head for quieter rural roads as you leave Galway behind. You will cycle through Spiddal village on the shore of Galway Bay which is a popular tourist destination with a scenic beach, harbour and craft village. You are also entering the Gaeltacht (Irish-speaking region). Leaving Spiddal you will continue along coastal roads to the village of Carraroe, your stop for the evening. Leaving Carraroe this morning on your way to Carna, you will cycle further into rural Galway, with barren bogland and lakes on either side of quiet country roads. The landscape on this section of the Wild Atlantic Way is picturesque, thought-provoking and serene. Today’s cycle from Carna to Clifden will be busier by comparison with yesterday. 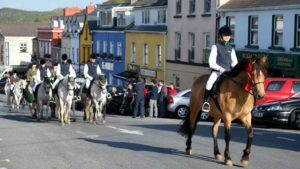 You will continue your Wild Atlantic Way cycling tour along rural roads (boreens in Irish) through small villages such as Roundstone and Ballyconneely; and past sandy beaches as you make your way to Clifden, home to an important horse and pony showr each Summer. Ballyconneely is famous for breeding Connemara ponies, legend has it that the breed originated when Arabian horses swam ashore from a Spanish shipwreck near Slyne Head and bred with the small native pony. In 1919, the first transatlantic flight by Alcock and Brown ended two miles from Ballyconneely in Derrygimla Bog. 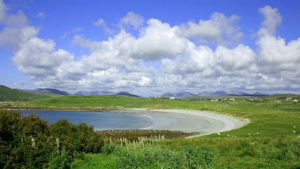 Clifden is a popular destination for cyclists, hill walkers and sightseers alike, close to the Twelve Bens Mountain range, Connemara National Park and stunning bays. Leaving Clifden behind you will cycle west along scenic peninsulas, with stunning beaches and coastal views. Dotted along this coastline there are a selection of tidal islands and headlands, perfect locations for a picnic lunch. Cycling around Lough Aughrusbeg at the head of the peninsula, Inishbofin (8km off shore) will come into view, then continuing along the coast you will reach the village of Cleggan. 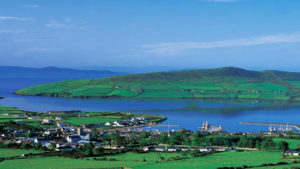 Cleggan was traditionally a fishing community but in recent years tourism has made a bigger contribution to the local economy. Leaving Cleggan you will pass Cloon, Laghtanabba and Tooreen Bogs (areas of natural heritage and conservation), on your way to Letterfrack. NOTE: this is a long cycling day but there are options to shorten the route if necessary, talk to the IrelandWays.com team for advice. A. 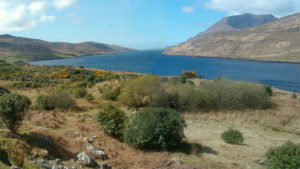 Visit Kylemore Abbey (admission not included) on the way to Leenane (24km). Kylemore Abbey was originally a hunting and fishing lodge, it was bought by Mitchell Henry in 1867 and over the next four years he developed Kylemore Castle, walled gardens, woodlands, school and walks. In 1920 a community of Benedictine Nuns settled here after their abbey in Ypres, Belgium was destroyed during World War I. The nuns opened a world renowned boarding school for girls and began restoring the abbey, Gothic church and Victorian walled garden to their former glory. B. Enjoy a lazy start to the day and continue with your prearranged route, to Tullycross and along the coast of Killary Fjord (Ireland’s only fjord) to the village of Leenane (22k). Killary Fjord is an important area for mussel farming and it is possible to take a 90 minute sightseeing cruise from Leenane to the mouth of the fjord. Leaving Leenane this morning you will cycle along beautifully scenic roads around the edge of Killary Fjord. 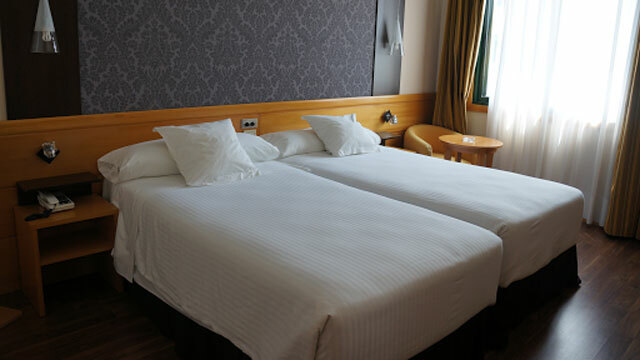 From here you will travel through the stunning Delphi Valley which separates Ben Cregan and Ben Lugmore, before heading inland to your accommodation in Louisburgh. Although the village of Louisburgh is small, the townland covers an area of 450 square kilometres and contains over 700 known archaeological monuments. The last day of this Wild Atlantic Way cycling tour is short and along fairly flat, well paved roads from Louisburgh to Westport. Today you will pass Oldhead Woods, sandy beaches and possibly the most famous mountain in Ireland: Croagh Patrick. 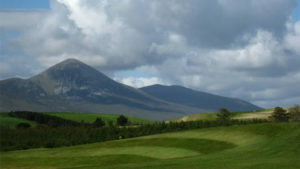 Legend has it that Croagh Patrick is the site from which Saint Patrick banished snakes from Ireland. An annual pilgrimage on the last Sunday in July sees thousands of devotees from all around the world travel to Croagh Patrick for what is known as ‘Reek Sunday’, a day of worship in honour of Ireland’s patron saint. Some people even climb the mountain barefoot, as an act of penance. Your final stop is the lively town of Westport. Being so close to the sea most restaurants will specialise in a variety of seafood, as well as shellfish from Killary fjord, Step back in time when you visit the 16th century Westport House and Gardens and for a traditional Irish evening out, stop off at Matt Molloy’s bar which is world famous for Irish music, ‘Craic agus Ceol’. Shannon Airport to Galway | Bus Éireann | Travel time 1H50, leaving from outside the main terminal leaving every hour approx | Fare €22 one way. Dublin Airport to Galway | Go Bus – Bus Éireann | Travel time 3H15 approx, leaving from outside the main terminal | Fare €17-€19 approx one way. Step 2: Once on O’Connell Street it is a short walk, tram or taxi ride to Heuston Train Station, Busaras Bus Depot or George’s Quay. Step 3: Dublin City Centre (George’s Quay) to Galway | Go Bus | Travel time 2H30 approx, departing every hour | Fare €17 approx one way. Step 3: Dublin City Centre (Busaras Bus Depot) to Galway | Bus Éireann | Travel time 3H30 approx, departing every hour | Fare €20 approx one way. Step 3: Dublin City Centre (Heuston Train Station) to Galway | Irish Rail | Travel time 2h30 approx, leaving roughly every 2 hours | Fare €35 one way.